This firm is dedicated to providing the highest quality professional legal services, utilizing not only the aged and traditional methods, but incorporating the latest trends in light of the most recent changes in the law affecting your estate. A custom estate plan tailored to your needs is critical to the preservation of both your personal and business assets for you and your heirs. There are no one size fits all formulas. Call us for a free consultation. A majority of our new clients are referrals from existing clients, a testament to our outstanding customer service. Our up-to-date knowledge of changes in the law, personal attention to your specific needs, as well as the highest quality work product, sets us apart. After your trust is complete, we can provide guidance to you at no additional charge. Changes in the law affecting your estate will be identified in our bi-annual newsletter emailed to each client. 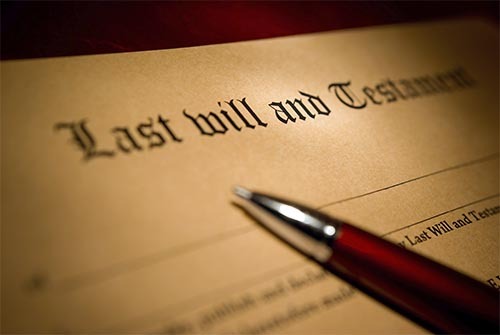 A will or testament is a legal declaration of a person to name one or more persons to manage their estate and it will provide for the distribution of their property at death. Any person over the age of majority and of sound mind (having appropriate mental capacity) can draft his or her own will without the aid of a lawyer. There are requirements and specific declarations needed for your document to be recognized by the probate court as legal. When that time comes you will not be able to correct any deficiencies so it is crucial to have it proofed by a professional. SD Legal Center has a great deal of experience with creating and documenting a Will. Contact us today for an appointment or consultation to discuss your needs. We assist our clients in creating unique and innovative solutions to meet their particular needs. We will bring understanding and empathy to the process, both for all you are going through, but equally important, for what your children are going through. We are dedicated to helping couples heal conflicts and focus on their future. For couples with children we help accomplish this goal by facilitating child-centered solutions. We support all our clients to stay future focused and make informed decisions regarding their family. We live our lives, both professional and personal, with optimism, compassion and integrity. Our vision is to empower our clients to have ownership in the decisions they make for their families now and in the future. We are dedicated professionals who ensure our clients feel their concerns will be heard as well as respected during the mediation process. Our Center gives families a new set of skills to empower and strengthen them to better cope with future.